I've always heard good things about BB, but my dogs have been eating Rachel Ray for the past few years, and can be pretty picky eaters. 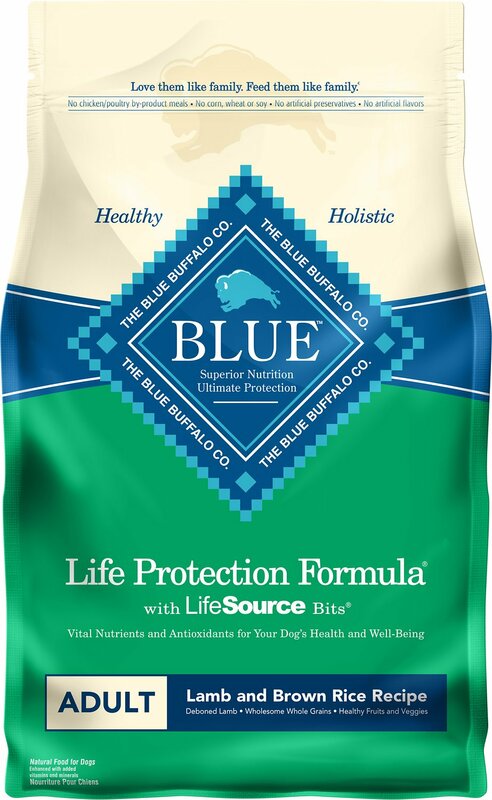 I purchased a couple of bags (different flavors) of the small bags of the Blue Buffalo, just to try them out. They LOVE the lamb and rice. Because this brand is made of such better quality ingredients, I will be switching over to BB on my next Autoship. Thanks Chewy for offering these products with such great prices and a terrific website, that is very user friendly. You have a customer for life in me!! My Everest Really Loves It! I am disappointed with the 30lb bag of dog food that I received. The bag had a tear in it and it was just taped up. Not sure if it was Chewy or UPS that would just tape it but technically the bag was open. I realized it after I emptied the full bag into a different container. Should I be concerned about feeding this to my dogs and the quality of the food? 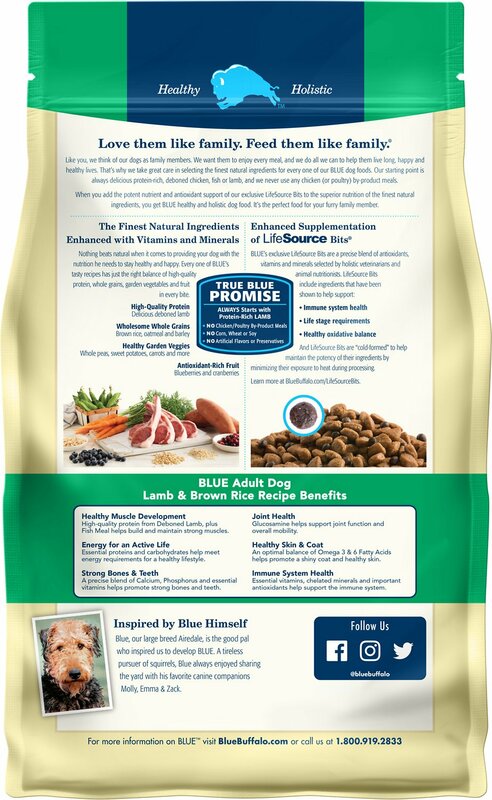 Our dogs love Blue Buffalo. We usually try different flavors and this one our 3yr old yellow lab loves it! Sadly, our 9yr old lab now has some sensitive stomach issues and we had to go a different route. 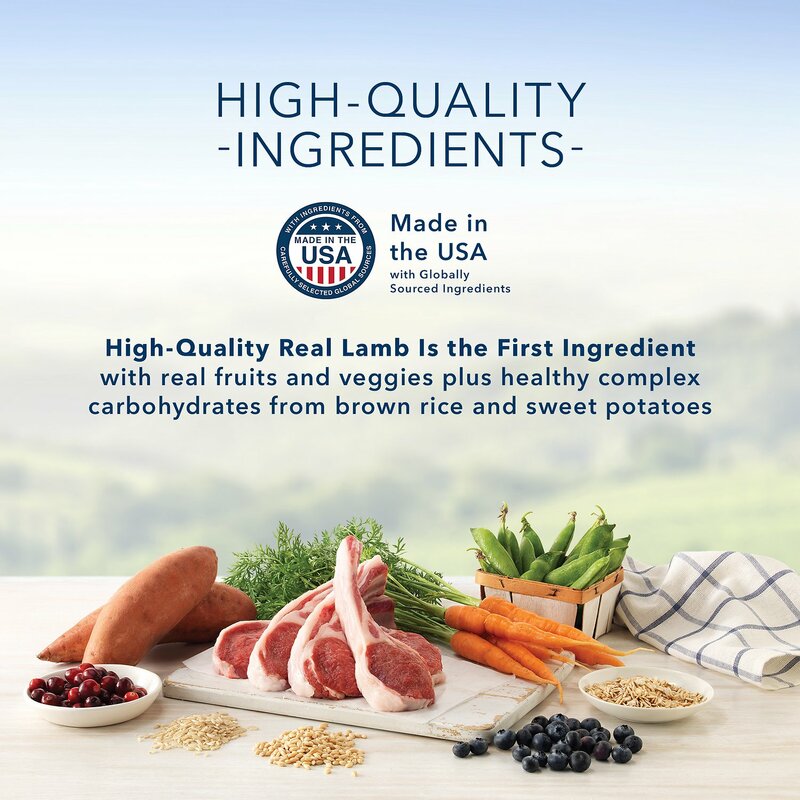 This is a great brand and we love how there is little waste with Quality food! My German Shepherd is a very picky eater. It took almost a year to find a food she liked enough to eat very sparingly. 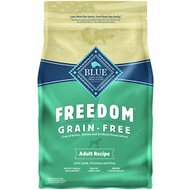 I finally tried Blue Buffalo by weening her off the old kibble slowly. She fell in love immediately. She used to not care about her food at all, but she loves this stuff! She ate around the old kibble (which we mixed with the Blue Buffalo so she wouldn’t get sick)! I’d recommend to any dog owner who has a very picky eater or German Shepherd! 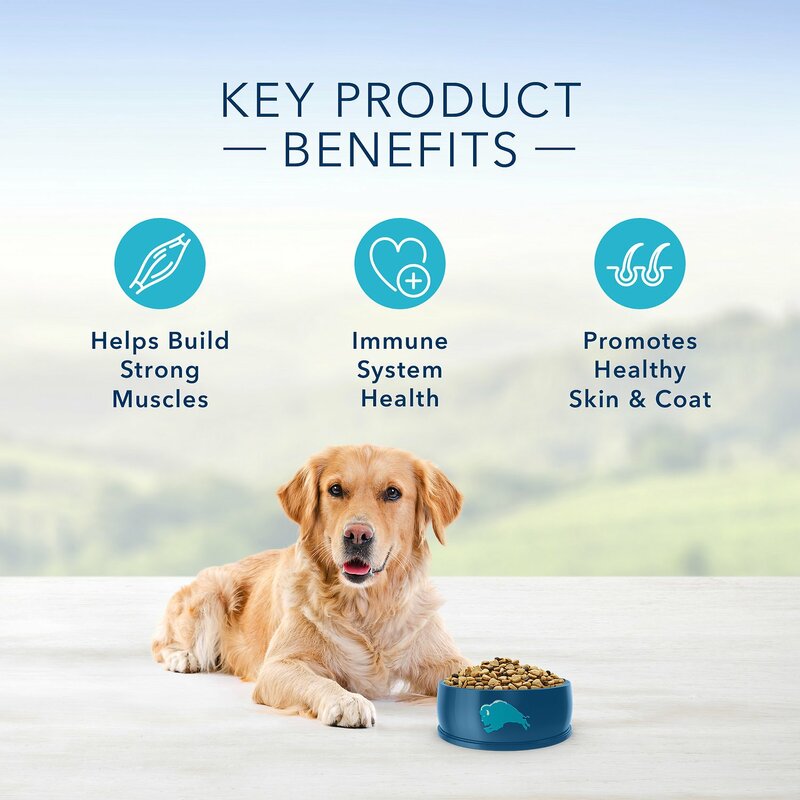 I’ve tried several different brands of dry kibble with my dogs. 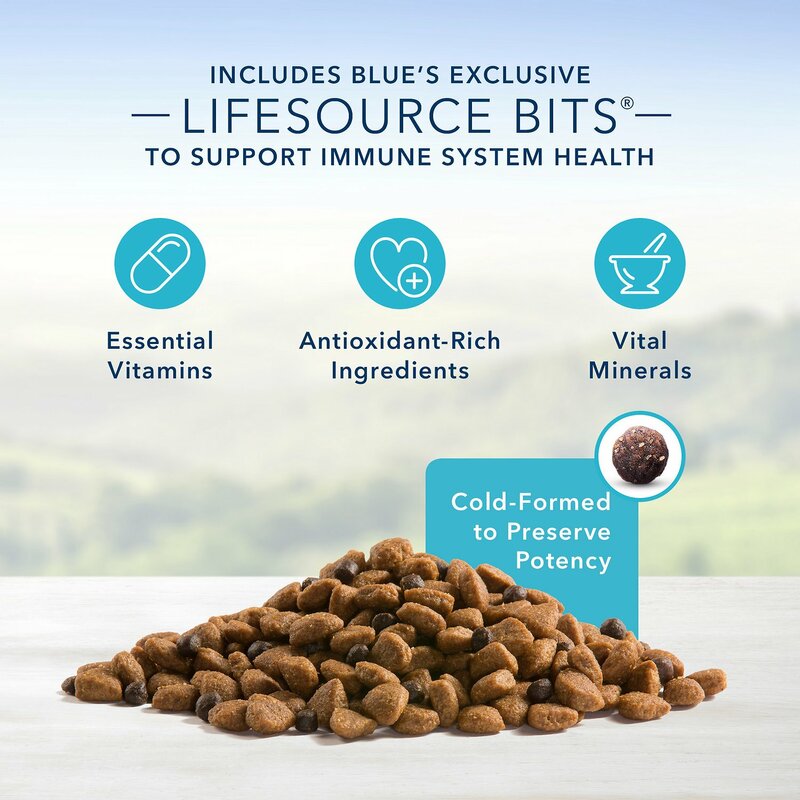 Some caused (Horrible) has, some they picked at without enthusiasm... they love this Blue Buffalo Life Protection; they can’t wait to eat and (yippee) no gas! I’m very impressed with this product. Try it! We have 3 dogs and the convenience and pricing of Chewy are fabulous! Not only do we save money, the autoship feature makes my life easier not having to go to the store to purchase - lifting is a challenge for me and I am very grateful for this ease! Thank you Chewy! 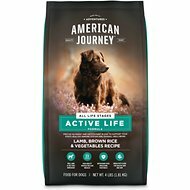 We had recently discovered that my dog was allergic to something in a different brand of dog food, switched to this and his hair is growing back and eyes are no longer red. Very happy with this food. As a plus, it breaks down really fast in the backyard. Our 85 pound Lab/Boxer/? absolutely loves this food. The minute you put his dish down he is chowing down. We have tried many other dog foods but this is the only one he will eat immediately and completely. Also it’s wonderful for his sensitive tummy. His coat is glossy white and he is very healthy. Thanks Chewy for saving me a 46 mile round trip to the pet store. Your prompt delivery is great. This is the first time I have tried Blue Buffalo. My dog LOVES it! (It even smells great)! 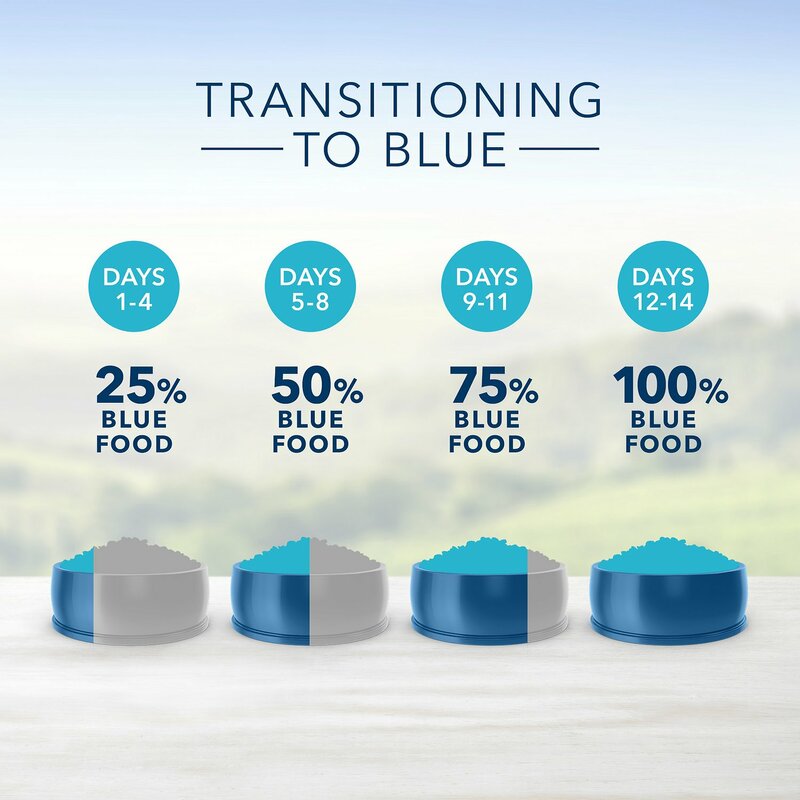 I have a very large dog and I have been giving her Blue Buffalo, in between her meals, as a treat rather than regular treats to keep her weight down. She loves it!! 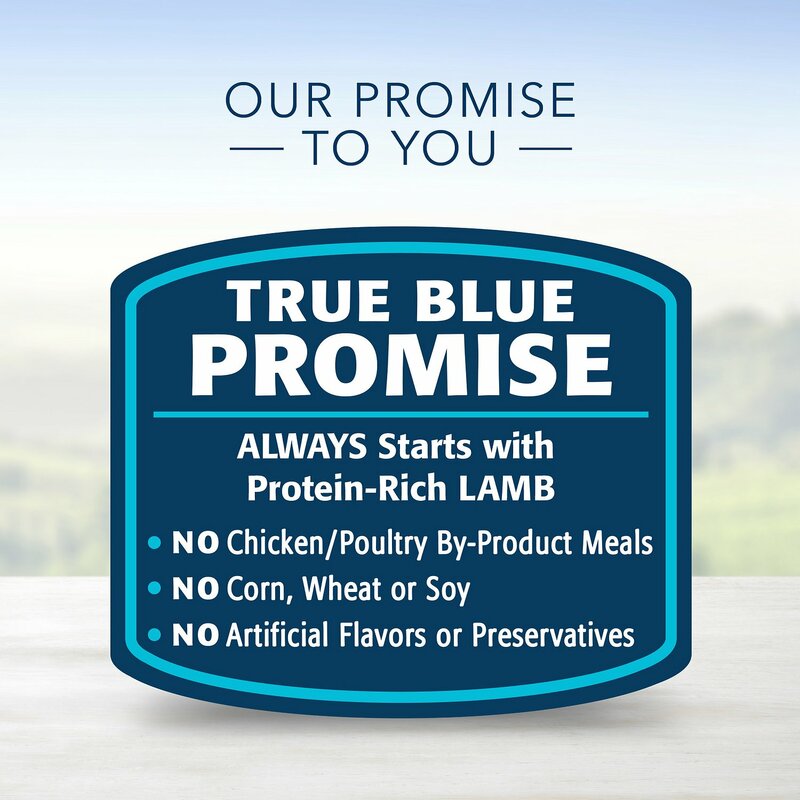 Thank you Blue Buffalo.